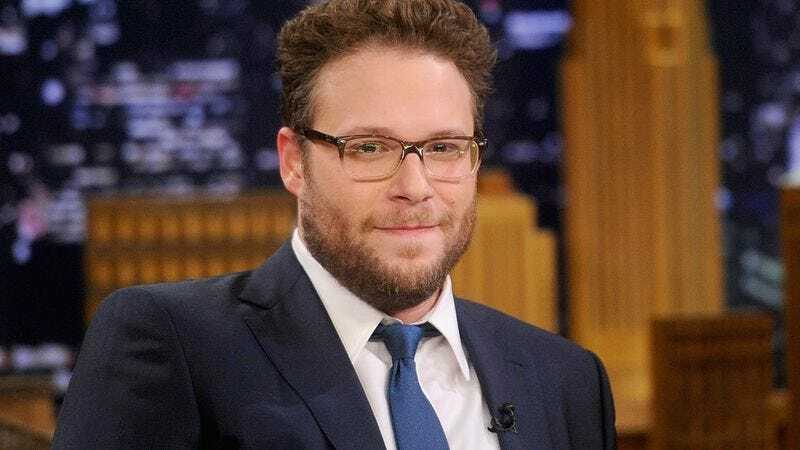 According to The Hollywood Reporter, Seth Rogen is being considered for Danny Boyle’s Steve Jobs biopic. (Variety, meanwhile, believes he’s definitely landed it.) Rogen is being sought to portray Steve “the Woz” Wozniak, one of Apple’s three co-founders. While Jobs was Apple’s public face, Wozniak was responsible for designing the company’s early personal computers. He would star opposite Christian Bale as Steve Jobs, the man known for putting “1,000 songs in your pocket” and helping to destroy Tower Records. Filmmakers behind the project have struggled to move past the casting stage: Leonardo DiCaprio was previously attached but dropped out, citing scheduling conflicts (and totally not because he’s an Android guy). Matt Damon, Ben Affleck, and Bradley Cooper were all considered before producers moved on to Christian Bale, whose deal reportedly still isn’t finalized—even though screenwriter Aaron Sorkin declared last week that he’s definitely in and is “gonna crush it.” Jessica Chastain is also being sought for an unspecified role.